New distilleries are opening up all over the country, and there’s never been a better time to enjoy Scottish gin. 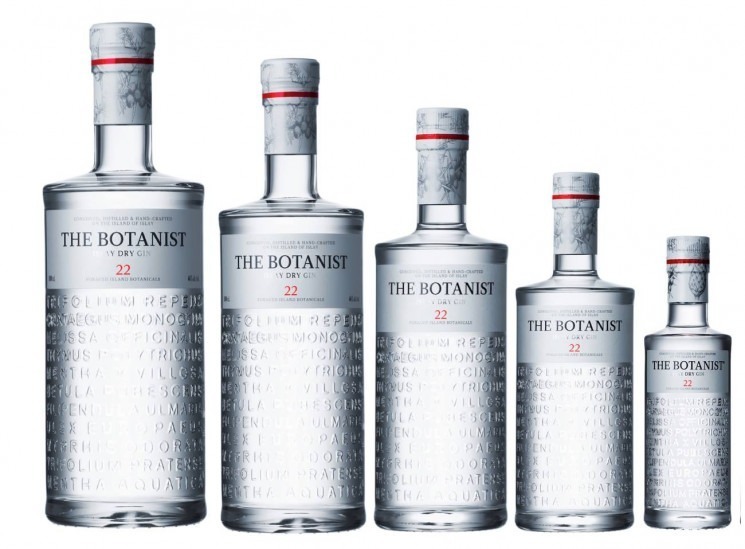 Here’s our guide to sixteen of the best and most vibrant Scottish gin on the market right now. Rebranded from Darnley’s View, Darnley’s is a classic gin – smooth and clean with a floral note on the nose. It’s subtle hint of elderflower and citrus make for a very refreshing long gin. A slice of lemon and some elderflower tonic make a very enjoyable summer drink. As good a gin as any. Created by Inverurie’s own Jonathan Engles and colleague Walter Mickelthwait in Aviemore, this premium, small batch gin is a fantastic drink. Using only Scottish Juniper and Rosehip, a wonderfully simple gin that gives so much depth. Serves best with a splash of tonic or soda, and one or two ice cubes. Crossbill Gin, The Drinks Shop, £32.50. A sharp, refreshing citrus blast hits you as you take your first sip. Quite a short, drying finish leaves you wanting more. 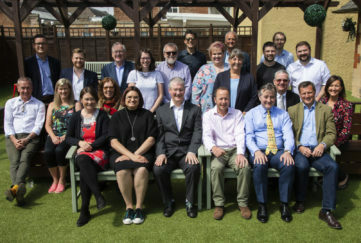 It’s fantastic news that Aberdeen has produced a gin with the quality to compete with some of the finest names around. Ben Ivrani, one of the creators behind the gin, recommends a classic G&T serve with a quality tonic and slice of lime. Created at (probably) Scotland’s smallest distillery, Strathearn are making big waves in the Gin world – and with their first whisky due for release this year expect to hear a lot more of them! Heather Rose is one of four releases from the distillery and, in my opinion, the finest. Scottish Heather and Roses are used to create a sweet, yet spicy gin. This has a wonderful, floral nose and feel and even turns a light pink when adding tonic! Serve with grapefruit to bring out citrus notes. If you can’t get enough of flavoured gin, then you simply must check out McQueen’s range. From Spiced Choc Orange to the glorious Sweet Citrus, the contents come in gorgeous embossed bottles. Don’t miss new flavours Mocha, Smokey Chilli and Chocolate Mint. This clean, floral and surprisingly fruity gin comes from Dunnet Bay Distillers in Caithness with a host of awards under its belt. 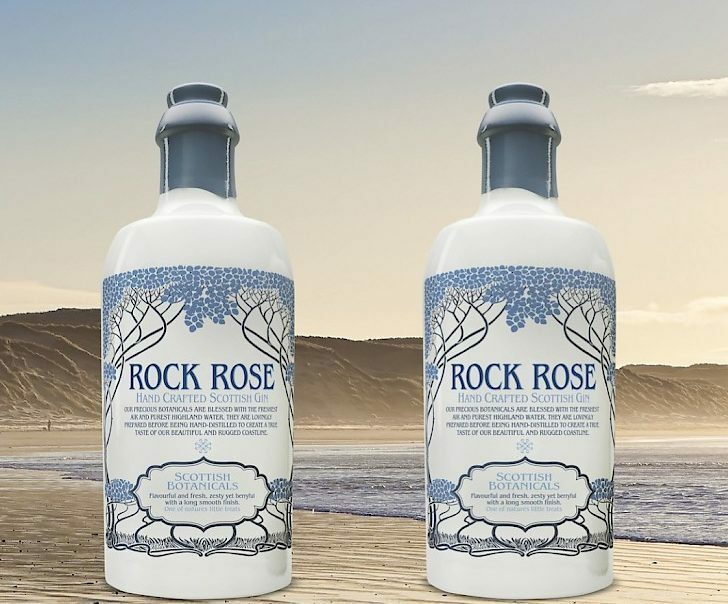 It’s named after one of its 18 botanicals, rhodiola rosea, which grows on the cliffs near the distillery. Raiding Vikings harvested it to give them extra strength for continuing their arduous journeys, and while the distillers themselves make no claims about the strength-giving properties of their gin – why run the risk? From humble beginnings in a Scottish kitchen, Stirling Gin has fast become a local leader, in taste, quality and popularity. Making use of locally foraged nettles, Stirling Gin indulges a unique blend of botanicals to produce a deliciously classic drink. Pair with torn basil for a vibrant gin experience. Makar Glasgow Gin is premium handcrafted gin produced by The Glasgow Distillery Company. 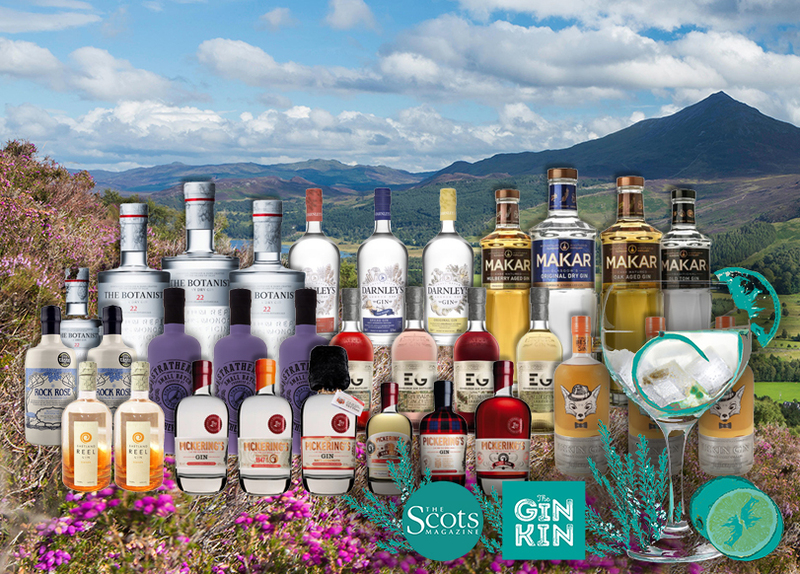 Launched in November 2014, Makar is the first ever gin to be produced in the city of Glasgow. Distilled in small batches in a copper pot still named Annie, Makar Glasgow Gin is a juniper forward gin entwined with seven other botanicals. 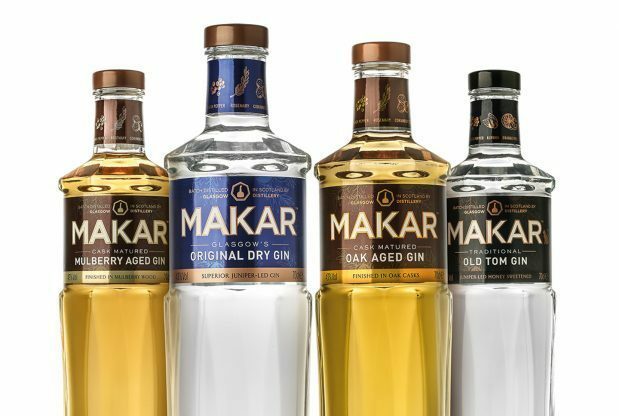 The bright and robust flavour of Makar makes it perfect for gin-led cocktails and invigorating with tonic. 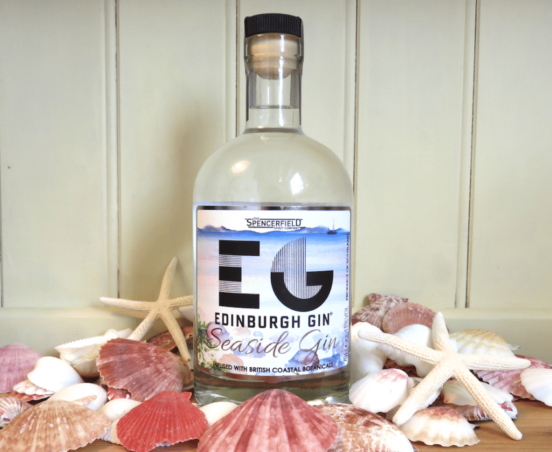 A limited edition libation created with summer in mind, Edinburgh’s Seaside Gin encapsulates a unique flavour profile of foraged ingredients from Scotland’s East Coast. Beachy botanicals including ground ivy, bladderwrack and scurvy grass create a mineralistic gin with a hint of salinity – reminiscent of a coastal walk! Pickering’s Gin, Edinburgh’s first gin distillery for over 150 years, is based at the heart of Summerhall. Visitors can book a tour of the distillery daily and will be able to see first-hand the small batch premium gin being distilled, bottled, labelled and sampled! 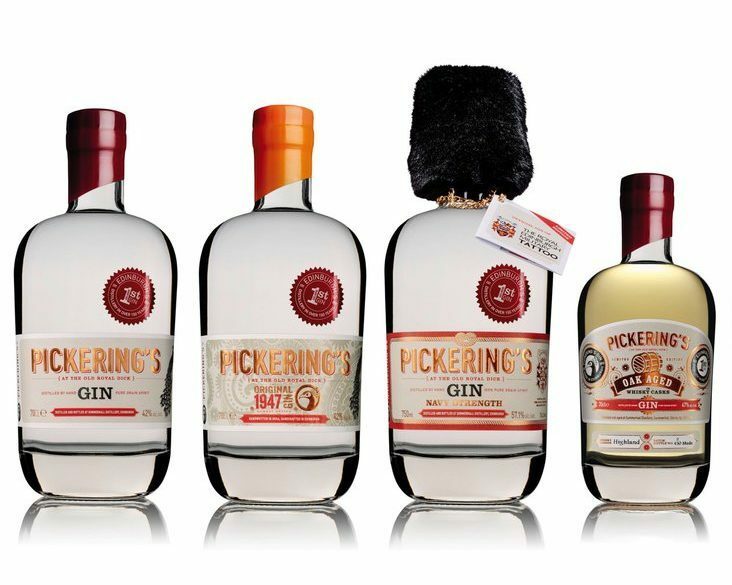 Pickering’s Gin 1947 is based on an original recipe, handwritten on a fragment of paper dated 17 July 1947, and has been fine-tuned, perfecting its balance and tweaking it for today’s contemporary palate. Pickering’s Gin 1947, Master of Malt, £28.75. 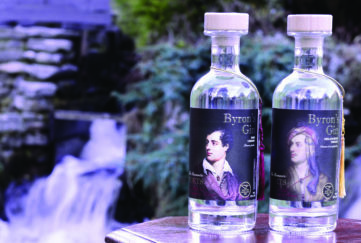 There’s an entire Edinburgh Gin Fruit Liqueurs collection waiting to be discovered. Drawing inspiration from the native fruits and flora grown in the city’s surrounding rural landscapes, each liqueur offers a taste of Scotland. 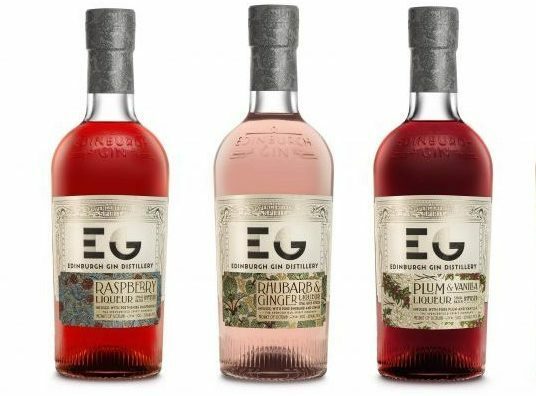 Edinburgh Gin’s Rhubarb & Ginger Liqueur is just as at home in a summer punch as a warming festive cocktail, and tastes sublime simply served on the rocks! The Gin Bothy creates handmade infused gins in small batches. 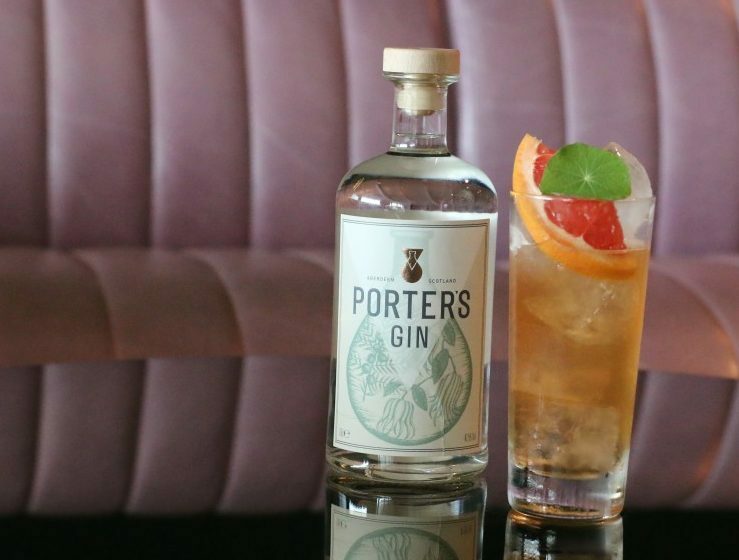 Inspired by Bothies of the past, the distillery infuses their gin with local ingredients which are then hand turned daily to create a rich flavour. Try the brand’s Mulled Gin, a spicy infusion of Cinnamon, Nutmeg & Clove, or sample the fine delights of their Gunshot Infused Gin. Both are simply delicious. Gin Bothy, The Gin Bothy Shop, £26. 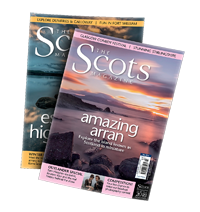 This article is part of #JuniperJune, celebrating Scottish gin in association with The Gin Kin. What is your favourite Scottish gin? Let us know on Facebook or Twitter with the hashtag #JuniperJune.